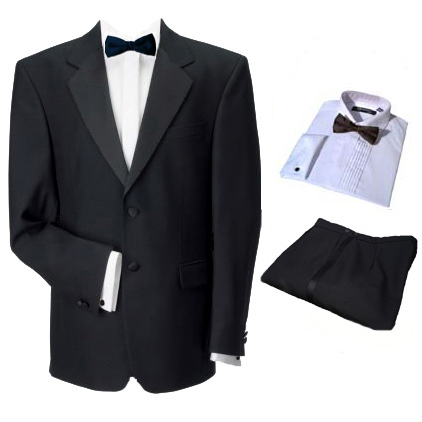 This two piece poly-wool dinner suit is manufactured in England from a medium weight black cloth, comprising 55% Polyester and 45% Wool. The package included a white dress shirt and black pre-tied bow tie. This package qualifies for FREE standard delivery and comes with a FREE suit bag. Hi, just to say received the parcel on monday 8th and that t ..